The quality and the degree of customization you seek are here. American-made products are an investment that can deliver beauty, durability and satisfaction. Peruse any home improvement media and you may get the impression you just can’t build, renovate or decorate a quality home without relying on foreign-made products like granite from Italy for countertops, cherry hardwood flooring from Brazil or textiles from India. However, you don’t have to sacrifice quality and luxury in order to buy American for your home. Some of the finest home decor products originate right here in the U.S.
ANN SACKS. 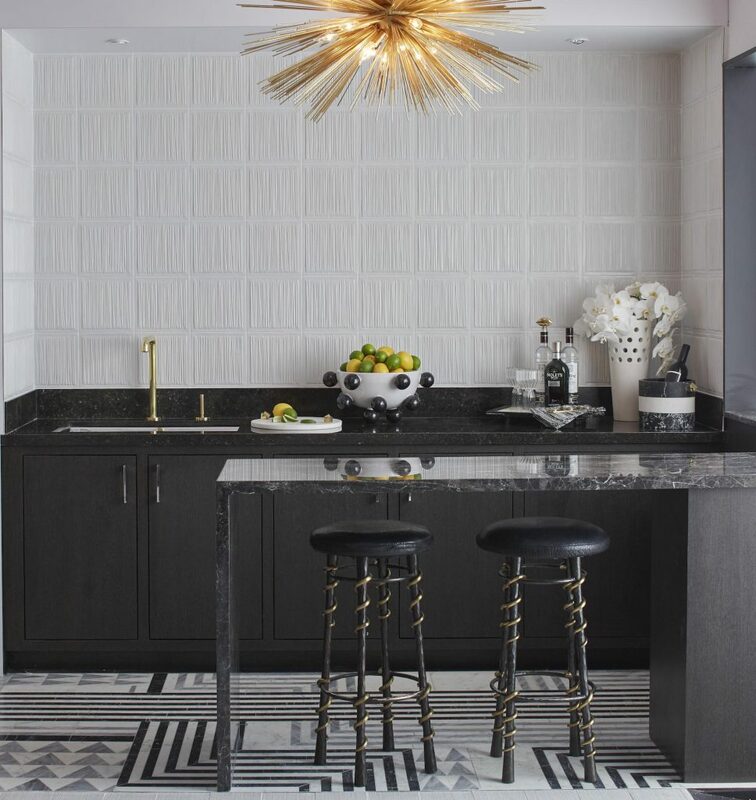 Every tile in the company’s 14 MADE by ANN SACKS collections is handcrafted and produced in its Portland, Oregon, headquarters. Founded in 1981 by Ann Sacks, the company’s tile and stone products in unique patterns, shapes, sizes and glazes are favorites of homeowners and interior designers seeking top-quality luxury and beauty for their home designs. In addition to a repertoire of standard tiles, the company also has partnered with famous designers to create innovative luxury lines. They even create custom designs to help homeowners achieve a truly one-of-kind look in their homes. Stickley. Founded in 1900 by the Stickley brothers, the luxury furniture brand continues to conduct all its manufacturing in its Manlius, N.Y., factory. Their furniture is known for its beautiful wood construction, durability and meticulous attention to details. Robern. Rooted in the belief that “your everyday routine should never feel ordinary,” Robern has been making innovative medicine cabinets, bathroom mirrors, vanities and lighting since 1968. From smart medicine cabinets with features like touch-dimmable task lighting, magnetic storage and integrated USB outlets to wall mirrors with lights, audio and defogging capabilities, all products are still made in Bristol, Pa.
Bloomsburg Carpet. Founded in 1976 to produce quality, luxurious carpet, Bloomsburg Carpet weaves all its carpets in Pennsylvania’s Susquehanna Valley. Third-generation weavers produce Axminster, Velvet and Wilton carpets under one roof. Viking. Founded in 1987, Viking produces professional-quality ranges and refrigerators at four manufacturing facilities in Leflore County, Miss. The company’s products are favorites of both professionals and home chefs. Thomasville Bedding Company. The company that began more than 40 years ago in a one-room building now occupies 36,000 square feet of factory and showroom space in Thomasville, Ga. In addition to offering a wide selection of mattress styles, the company is also one of the few remaining bedding makers who will manufacture a custom set to fit any size bed.